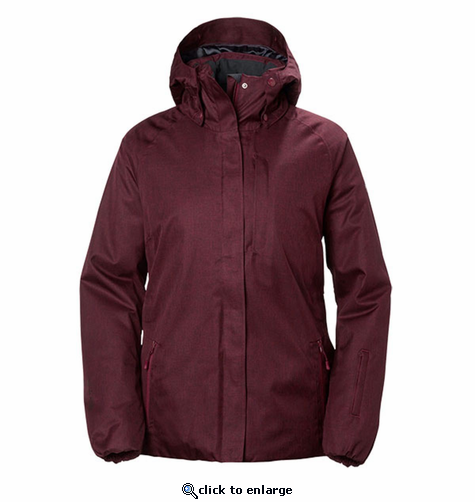 Combining an urban classic parka with an insulated ski jacket creates many opportunities for snow sport enthusiasts. Traveling to the mountain, hitting the slopes or going out for dinner, this Primaloft insulated ski jacket featuring a waterproof, breathable Helly Tech Performance 2L structured fabric will be a given companion. It will keep you warm, dry and comfortable with a cozy lining and plush inside collar. All ski specific features throughout including wrist gaitors with thumb hole, snow skirt and ski-pass pocket.